What is property management all about? Too often landlords are pressed for time and have extensive investment portfolios with properties in numerous locations so the prospect of managing their property independently is unrealistic. This is where a property management service or company comes in. Property management services and companies take over a range of responsibilities from the landlord, saving them precious time and giving them peace of mind that their properties are in safe hands. Many Buy-To-Let landlords depend on their property management company to ensure their investments are being looked after, actively managed and are running smoothly. The property management firm will step in and deal with smaller concerns and repairs and will usually only consult the landlord if there is a larger, more detailed problem that needs to be addressed. What services to property managers provide? 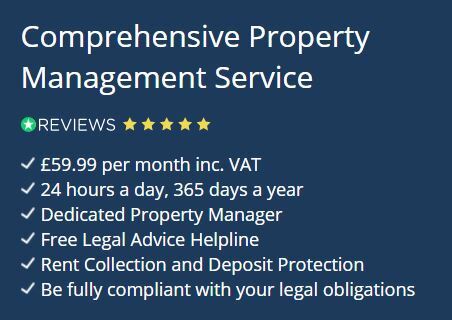 Depending on the level of service the landlord requires, residential property management services can provide a range of services from a fully managed letting service to a let only service. However, the list of roles that most property management firms provide landlords is detailed below. This is where a fully managed letting service comes in, the property management company will be responsible for collecting the rent, chase and professionally handle late payments and implement late fees. Taking the hassle of rent collection is a major selling point of having property management services for landlords. Residential property management companies will manage and liaise with the landlord’s tenants from the beginning of the renting cycle to the end. They will also make sure that the property is occupied as frequently as possible, minimising the risk of having rental void periods between previous tenants moving out and new tenants moving in. A professional property management company or service provider will carry out tenant referencing and Right To Rent checks during their application to move into the property. They will then forward the results of the background search to the landlord for them to make the final decision granting them permission to move in. Finally, if the tenant should fail the referencing process then the property management agent will be responsible for notifying that they have failed and will provide information about how they could pass, such as finding a guarantor. Property management services will usually include marketing or advertise the landlord’s property to prospective tenants looking for a new home. This will include preparing the property for market, taking professional photographs, placing advertisements on multiple platforms both online and offline, such as online property portals, DIY sites, newspapers and using social media platforms. Once the marketing strategy has paid off and the tenant enquiries start pouring in, the real estate management company will then manage booking viewings and handle the process of securing a new tenant on the landlord’s behalf. Once they have found a new tenant, the property management company will then take care of the move-in process for the landlord. From drafting the tenancy agreement to confirming the move-in date and collecting the deposit, it will all be taken care of. Tenancy Agreement – The property manager will be responsible for drafting the assured shorthold tenancy agreement and will get the tenant and landlord to sign it, as well as confirming the move-in date with both parties. Inventory – this process of getting the inventory checked and signed as part of the check-in process, will be taken care of by the property manager. Deposit – property managers will arrange the collection of the first month’s rent and deposit, ensuring that the tenant’s deposit is kept in a government approved tenancy deposit scheme throughout the duration of the tenancy. One of the best reasons to hire a property manager is so that landlords can avoid the sting of handling the eviction process should they need to ask a bad tenant to leave which can be a drawn out and difficult process if landlords are managing this themselves. The property management company will file all of the necessary paperwork to the tenant, such as the Section 21 eviction notice and they will communicate with law enforcement and courts if necessary. One of the more tedious aspects of investing in property is the upkeep they require which can become expensive if left for a long time. Property management companies will take care of this for landlords by carrying out the routine inspections, flagging issues which need to be repaired and compiling them in a report alongside any quotes for repair work, so that the landlord cam view it at their leisure. If a repair needs to be carried out on the landlord’s property, they will arrange for the licensed, qualified and recommended tradesman to complete the necessary work, as well as arranging for the payment to be carried out. Many property management companies offer financial services on behalf of the landlord, from making payments for the mortgage, insurance, tradesmen and solicitors. They will also supply an annual rental income and expenditure report for landlord’s tax records and can also advise landlords on relevant tax deductions and set-up. The report will detail the monthly cash flow from each of the landlord’s properties in their portfolio, itemising any expenses incurred over the course of a tax year. The management company will also send the landlord a record of receipts, invoices and expenses that have been incurred during the year so that they can also be added to their self-assessment tax return. Property management companies will create a detailed document of the overall condition of the interior and exterior of each property in their portfolio, this will also include photos, dates and detailed notes that the landlord can review. This report will also highlight any repairs or cosmetic work recommendations that could improve the property which in turn could result in charging higher rents and result in a better return on investment. The property manager will also evaluate the local rental market, gathering data and comparing similar properties in order to make sure that the rent is set correctly. The property management company will also communicate any recommended rent rises to the landlord, asking for their permission to then inform the tenant of a rent increase. Landlords will also be able to discuss the pros and cons of having different tenants live at the property with their property managers, such as whether they should accept tenants with pets, on housing benefits or families with children. Smaller tasks, such as whether a locked key box should be installed at the property, can also be discussed as well. A property management company can also provide landlords with legal advice as and when they might need it. Should there be a legal dispute with their tenant or with a neighbour, then the property management firm can step in and help advise the landlord on the best course of action and refer a trusted and qualified lawyer if necessary. They will also make sure that the landlord remains compliant with current legal requirements for letting a residential property and keep landlords updated and aware of the relevant legal legislation. What are the pros and cons of property management companies? How to choose a property management company?